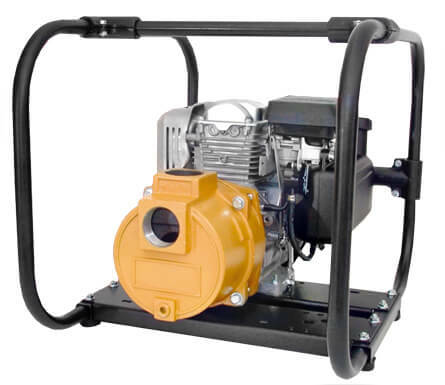 The AMT line of Engine Driven Solids Handling Industrial Duty pumps is constructed of Cast Iron and offers a superb debris handling capability. These pumps are excellent in the application of high volume liquid transfer, irrigation, commercial draining and construction. This line of pumps is designed to be reliable, cost-effective, and low maintenance. Solids Handling Pumps include heavy duty steel roll frames. For use with non-flammable liquids which are compatible with pump component materials.